At first I was confused if this was a half-hour sci-fi/paranormal comedy without all the laughs. There was no laugh track used. The scripts seemed to feature oddly situational chuckles more than anything LOL related. Did the characters (and writers, for that matter) take themselves too seriously? Was this actually a better version of the return of The X-Files? And then suddenly, the TV show disappeared in a puff of smoke, complete with hazy ratings. All of these concepts clouded my judgement of the show, but somehow I managed to return, week after week, trying to figure it out. Around the fifth or sixth episode, it started to hit its stride with a variety of Monster Of The Week episodes, but it was “Ghost Studz” and “Haunted Hayride” when I noticed I was really enjoying it. I really like Craig Robinson and Adam Scott’s past onscreen endeavors, but this one offered a slow burn. Not only appearing as featured stars, the guys are also producers of the show. Too bad it took so long for the overall mythology to build. With the status of FOX seemingly in the air (will Disney or Comcast finalize the purchase? ), the network cancelled almost all of its comedies. 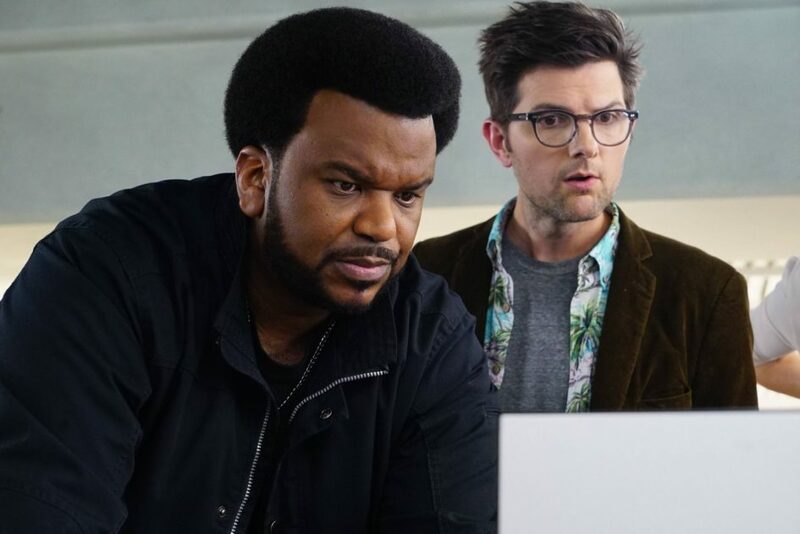 All that was confirmed was Ghosted would return, but no word of cancellation or renewal was ever stated. And suddenly, last week, six months after the previous new episode aired, two new episodes appeared, (with four more episodes soon to air, adding to the overall total of Season 1 at 13 episodes). But this time, the format was different. Very different. Now there’s no strange monsters or sci-fi phenomena, but The Bureau Underground in Los Angeles, where this series is based, has been bugged and Leroy and Max are on finally on a real mission. There’s now a conspiracy-theory direction for the TV show and a weirdly new ensemble feel, as the guys share the spotlight with characters who never spoke a word of dialogue before. This new direction intrigued me, so naturally I visited the IMDB page to figure out what’s new. For some strange reason, I’ve been watching quite a few reruns of The Office lately, so I was surprised to learn that Paul Lieberstein (onscreen Toby and former showrunner of The Office) had taken over showrunner duties from Kevin Etten on Ghosted, and a new vibe for the overall feel is apparent. The new episodes don’t feel as uneven as they previously were and hopefully the paranormal activity will soon return. CinemaBlend believes the show is cancelled, and if FOX is simply burning off new episodes and in the process building an audience before shutting it down, shame on them, because the new conspiracy-theory direction actually feels like a welcome change to the goofy monster-of-the-week setup. And apparently, tonight’s episode, “The Premonition,” features a visit to a psychic for more information. I’ve got to see what happens next. Why couldn’t this change to the show have happened much earlier in the production process? If it had happened, it may have survived cancellation. Sadly, that’s a real-life conspiracy theory that may never get resolved.